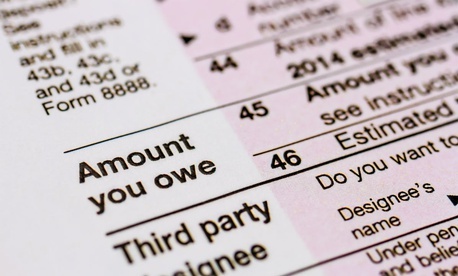 Fourteen months into its latest foray into using private tax debt collectors, the Internal Revenue Service is still grappling with the tendency for the contracted firms to target those taxpayers least able to afford payments. That’s the conclusion reached by National Taxpayer Advocate Nina Olson in a June 6 blog post. Olson had warned in her January annual report to Congress that the controversial program to collect back taxes—which involves four contractors who keep 25 percent of what they collect—that was reinstated in 2017 brought in $6.7 million to the Treasury but cost the agency $20 million. Olson’s staff analyzed the tax returns of 4,100 taxpayers who made payments after being contacted by private collectors as of September 2017. The findings: 28 percent had incomes below $20,000; 19 percent had incomes below the federal poverty level; and 44 percent had incomes below 250 percent of the federal poverty level, the cutoff Congress set in 1998 to excuse some low-income taxpayers from debt payment pressures. Though the IRS is allowed by law to dock debtors 15 percent of government payments (such as Social Security), it has excluded those below the 250 percent of the poverty line in recent years. Under the private collection program, debt-ridden low-income taxpayers are asked to pay all of what they owe, but have the option of entering into—without submitting financial information—installment agreements up to seven years. The advocate's office studied 2,102 taxpayers’ ability to meet their “allowable living expenses,” standards the IRS uses to gauge what taxpayers reasonably need for housing, food, utilities, transportation and health care, adjusted for family size and location. According to the IRS’s own data on 9,751 taxpayers on the installment plan from April 2017 to March 29, 2018, as many as 24 percent had incomes below the federal poverty level (all of those had incomes below their allowable living expenses), and 22 percent had incomes at or above the federal poverty level and below 250 percent of the federal poverty level (of whom 80 percent couldn’t meet their allowable expenses). Of the entire group who entered the installment agreements, 43 percent had incomes less than their allowable expenses. Olson reported that she sent the IRS a directive in April ordering it not to assign to private collectors the debt of any taxpayer whose income was less than 250 percent of the federal poverty level. The agency has until June 25 to appeal, she said. The IRS declined to comment, and Republican committee chairmen did not respond to Government Executive queries by publication time.